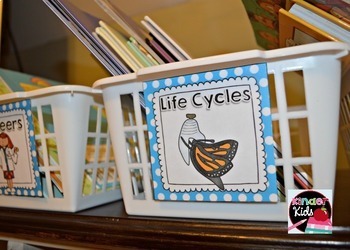 This product has all you need to create a cute and organized classroom library! 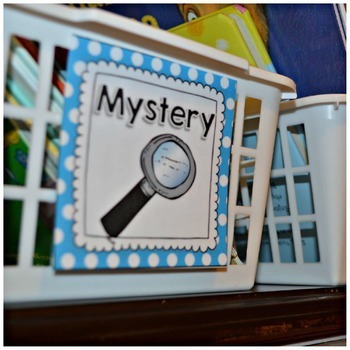 Included are 198 book basket labels measuring 3.5 inches by 3.5 inches. 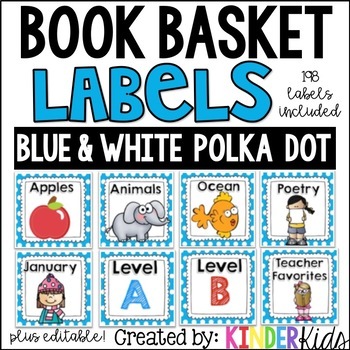 These book basket labels have a blue and white polka dot background. 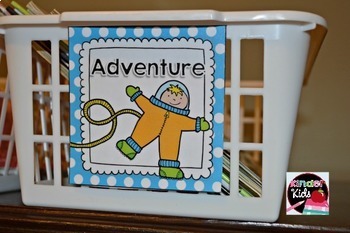 An editable page of labels is also included in the powerpoint file so that you can type and add corresponding clipart that may not be included in this packet.